The SnuzPod is designed with parents and babies in mind, providing the sound peace of mind every parent looks for when planning for a newborn. If you would like any further information or advice on the SnuzPod or any other of our nursery accessories, feel free to contact our team on +44 (0) 1305 231231 Mon-Fri 9-6pm or simply send us an email at customerservice@cuckooland.com. Sleeping side by side can be a comfort like no other, making babies first few weeks in the big world feel that bit more safe and secure. And side sleeping is a far safer alternative to co-sleeping while retaining that all important bond between baby and parent. 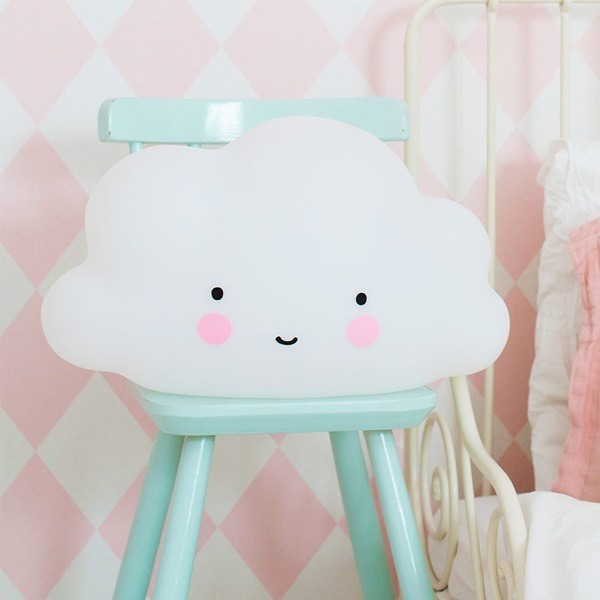 Parents will have peace of mind as they watch their little one sleep soundly beside them. It also makes night feeds that little bit easier as you won’t need to leave the comfort of your own bed. It has been reported by The Lullaby Trust and UNICEF that having baby sleep in your room for the first six months can help reduce the risk of SID’s. 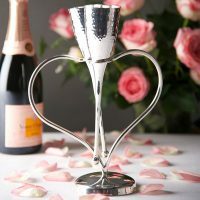 Looking out for these all important cues will help in anticipating the perfect time to make that all important switch. By browsing the different types of beds available, you will not only find the perfect children’s bed for your little one but also have a valuable resource for choosing a bed for older children too. The SnuzPod is a three in one bedside crib that can attach to your bed, so baby is never far away. The ingenious SnuzPod acts as a bedside cot, standalone crib, and bassinet all rolled into one very cute and practical design. 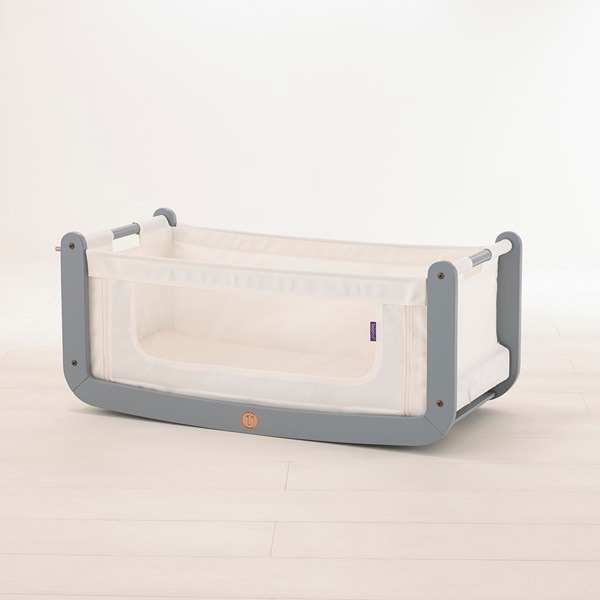 The bassinet features means that the body of the cot can be lifted away from the stand, making it ideal for nap times and transporting. 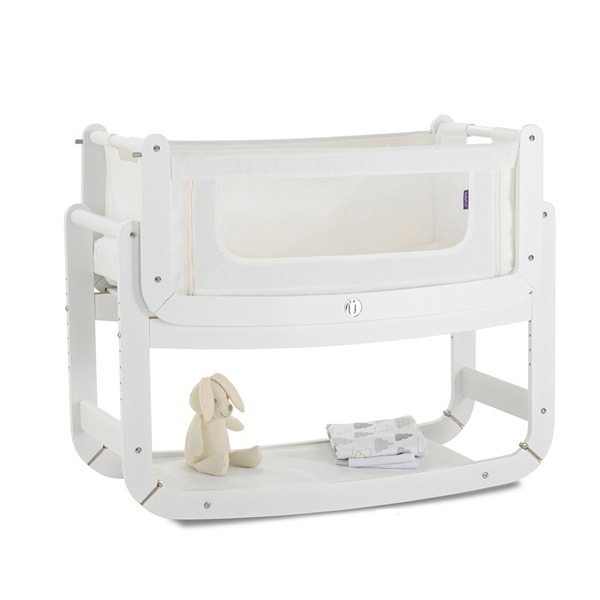 When the Snuzpod is in standalone crib mode it can be used a rocker to gently put baby back to sleep. 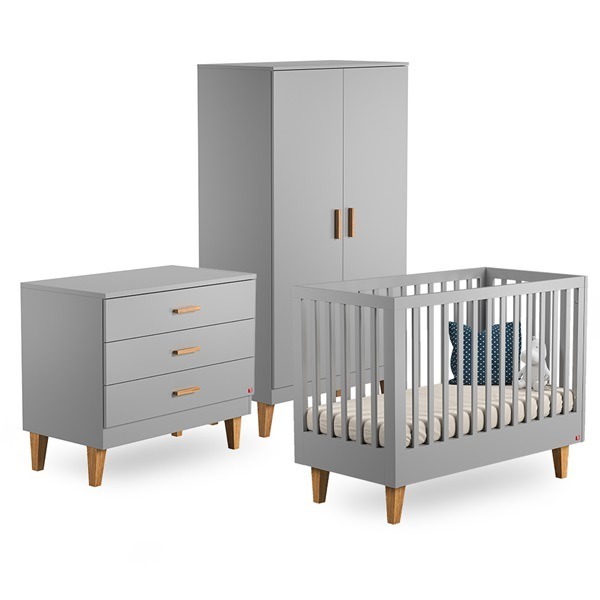 What’s more the SnuzPod crib comes in a wonderful range of neutral colours from soft white to natural wood, espresso and dove grey. You can view our full collection of cots here. Night time is the hardest time for any parent. When the joys of the day are behind us and sleep is beckoning, we all want to feel as comfortable as possible. With the SnuzPod three in one bedside crib easy access to baby at night is a breeze. 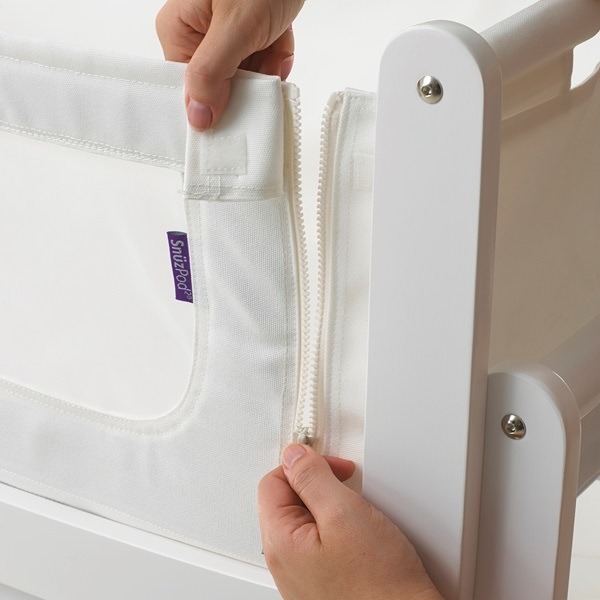 The SnuzPod crib attaches to a parents bed with straps that fit from the crib to the parental bed frame securely. The super soft, see-through mesh panel means that that baby is sleeping soundly in a light, breathable environment. 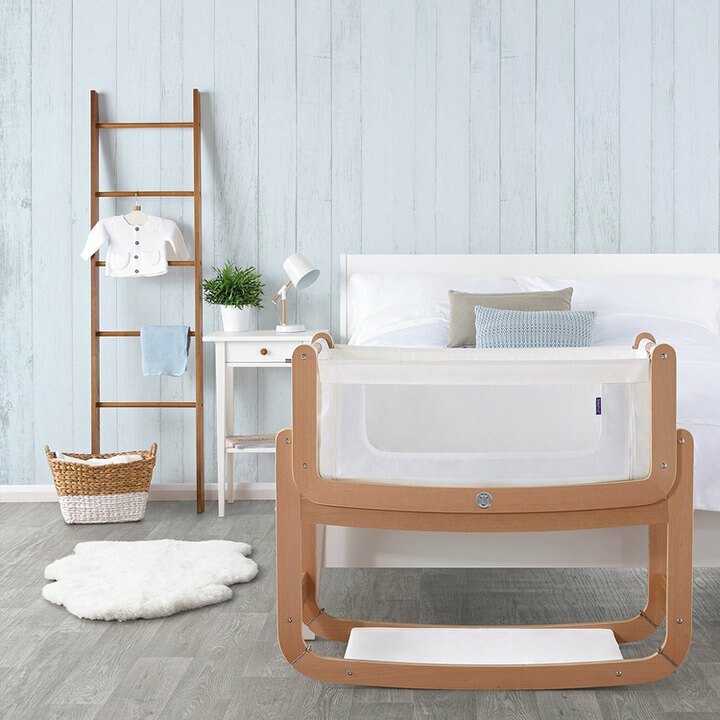 The Snuzpod crib also features a unique zip away wall which allows parents quick and easy access to feed and sooth their little one with minimal fuss. Having the peace of mind every parent deserves come as standard with a SnuzPod crib. 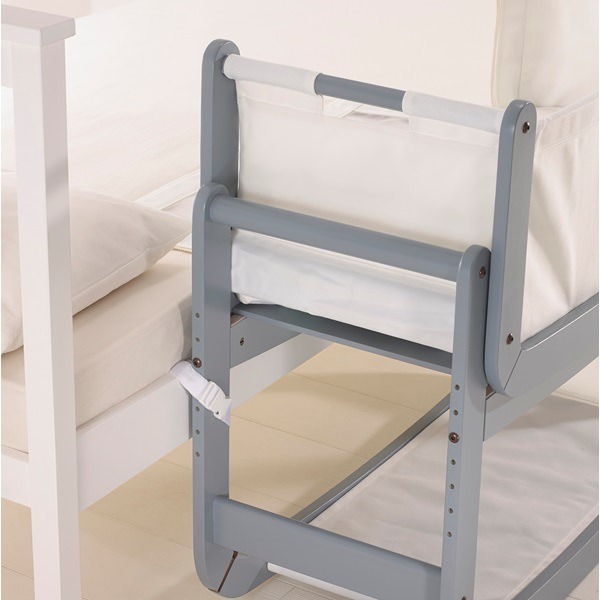 The clever base can be adjusted to meet the size of a parents bed, meaning you can keep an eye on your little one at all times. The height of the Snuzpod can be adjusted from 35 to 57cm, easily matching most parental beds. 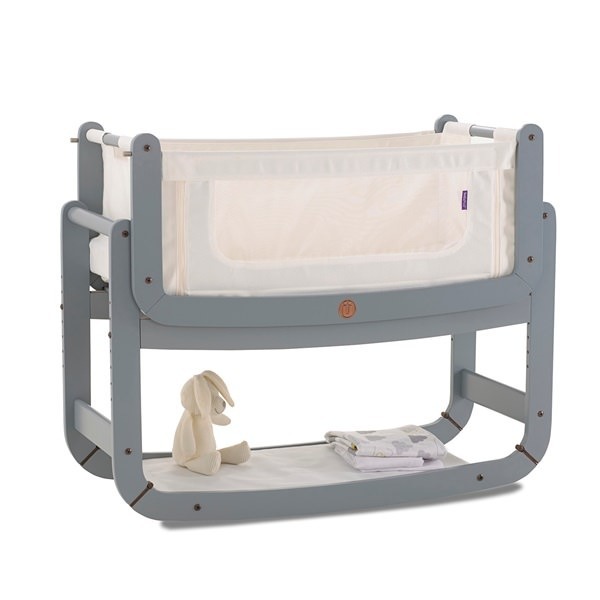 External Size Measures L100 x D42 x H95cm, making this adorable cot, a compact dream for any baby. 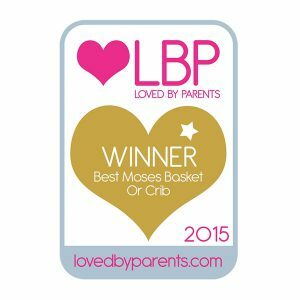 Snuzpod has been rigorously tested and passed the British Standards BS EN 1130 (cribs and cradles), and is the only bedside crib to pass BS EN 1466 (moses baskets). With safety in mind, SnuzPod three in one bedside crib is one of the best sleep solutions for newborns. The creative minds behind SnuzPod believe in recreating that natural bond between mother and baby without any nasty chemicals. Natural mattresses from Little Green Sheep are included with each of our SnuzPods. 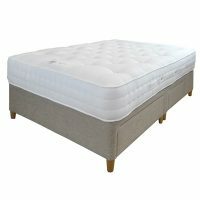 These natural mattresses are made from high quality wool, low in VOCs and are formaldehyde emission free. 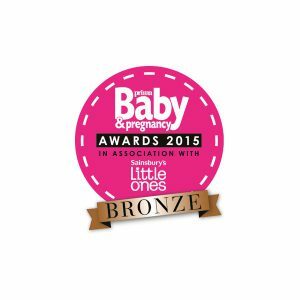 Meaning that both you and baby get the best nights sleep without any nasty chemicals getting in the way. To get you started with your SnuzPod, Cuckooland have an adorable and official three piece bedding set which will fit your SnuzPod perfectly. The Three Piece Bedding set is in unisex white and can be used all year round. 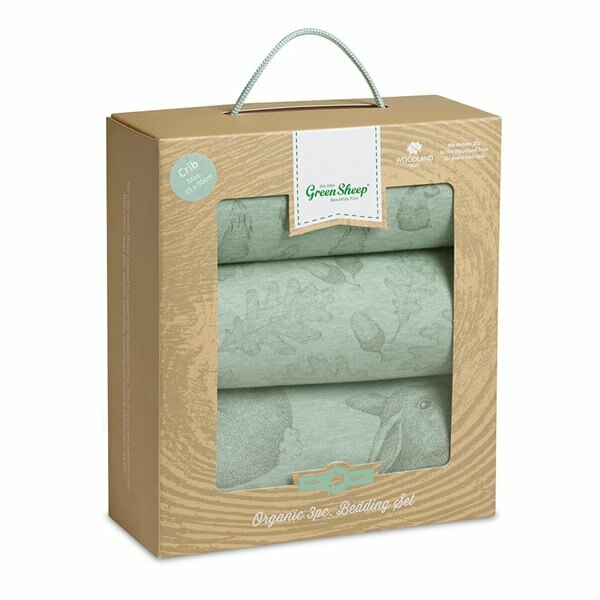 The set includes two luxury jersey fitted sheets and an interlocking soft baby blanket. Each item featured in this set is lightweight and breathable and will help control your baby’s body temperature and reduce the risk of overheating. The SnuzPod Three Piece Bedding Set is made of 100% cotton and is super soft to the touch making it a popular choice with parents and babies alike. For babies who just love to be swaddled, we also have the official Snuzpod Swaddle baby blankets in a range of gorgeous designs. If you prefer a blanket without the swaddle function, we also have some super cute reversible blankets which are perfect for newborns. 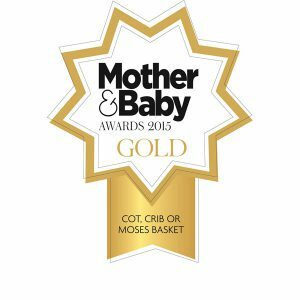 Mother and Baby awarded The SnuzPod Three-In-One Bedside Crib gold for Best Moses Basket 2015.